Vitec is the parent company of Manfrotto, Lastolite and 2o more brands of photography kit, now it’s added JOBY – the makers of the Gorillapod, and Lowepro to the portfolio. Vitec, the leading global provider of products and solutions to the Broadcast and Photographic markets, is pleased to announce the acquisition of leading photographic brands JOBY and Lowepro. With a worldwide presence across 22 high quality and recognized brands, JOBY and Lowepro will join the Vitec Group portfolio as part of the Photographic Division. Sitting alongside other Vitec owned, leading photographic brands such as Manfrotto, Gitzo, Colorama, Lastolite By Manfrotto and Avenger. This acquisition will enable Vitec to become the leading global provider of accessories within the new and fast growing iPhoneography and vlogging markets, as well as strengthening their position within the photographic bags market. 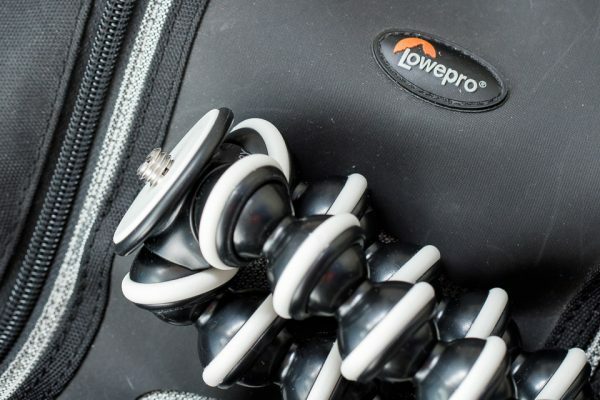 JOBY introduced the GorillaPod in 2006 which has transformed the camera accessories market, whilst Lowepro is a market leader in bags designed to protect electronic and photographic devices. Whilst, Lowepro remains the recognized market leader of photographic bags, its focus on supporting the professional outdoor and adventure photographer perfectly complements the Vitec owned brand. Manfrotto, with its range of photographic bags which are focused on supporting the professional urban and studio photographers. Vitec plans to integrate the two brands into its Photographic Division, within existing organizational structures and under the leadership of Marco Pezzana, Photographic Divisional Chief Executive. Marco Pezzana commented, “We are proud to announce that two remarkable brands within the Photographic Accessories market, JOBY and Lowepro, will join the Vitec Photographic Division. We pride ourselves on supplying the leading photographic brands to a global market, and this natural addition to our business strengthens the outstanding offering we already provide to our partners worldwide.